When the job needs more than just blades, select from a full line of VBL™ Grader Accessories. From ripper and scarifier tips and shanks to end bits, overlays and curb runners, VBL™ grader accessories are the perfect complement to VBL™ grader blades. 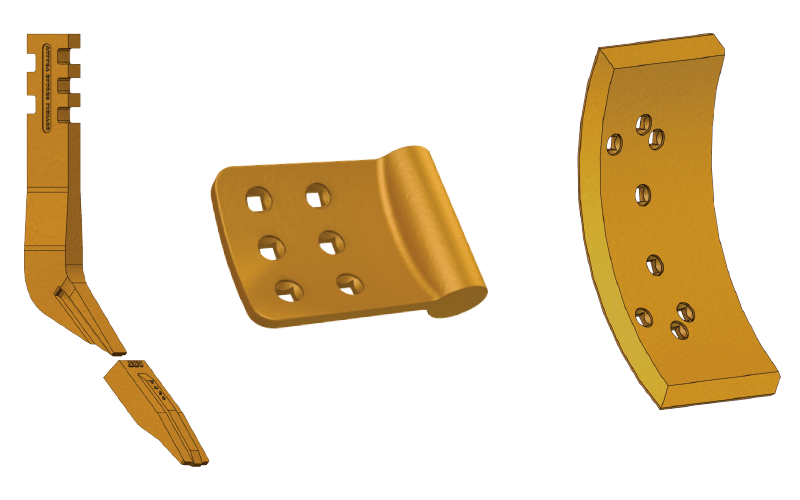 Grader accessories are available in various sizes and configurations*, with hole sizes and patterns to suit all OEM equipment.